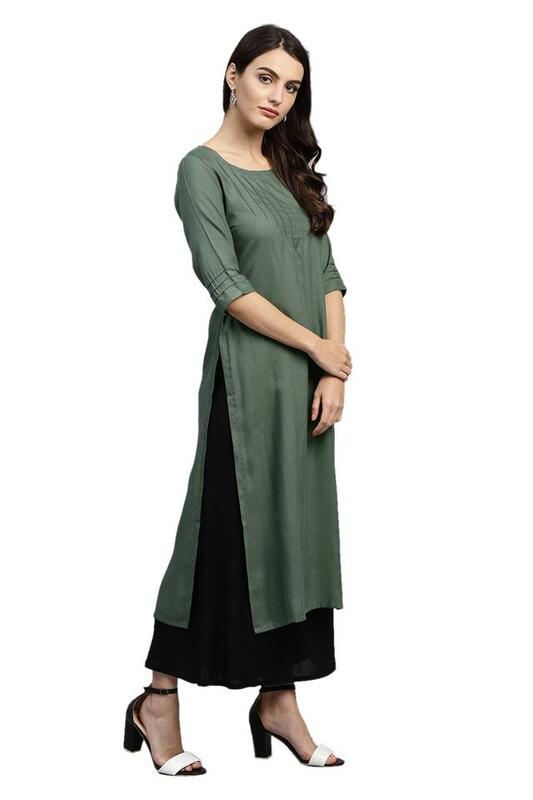 Stay in vogue by wearing this straight kurta presented to you by Gerua. 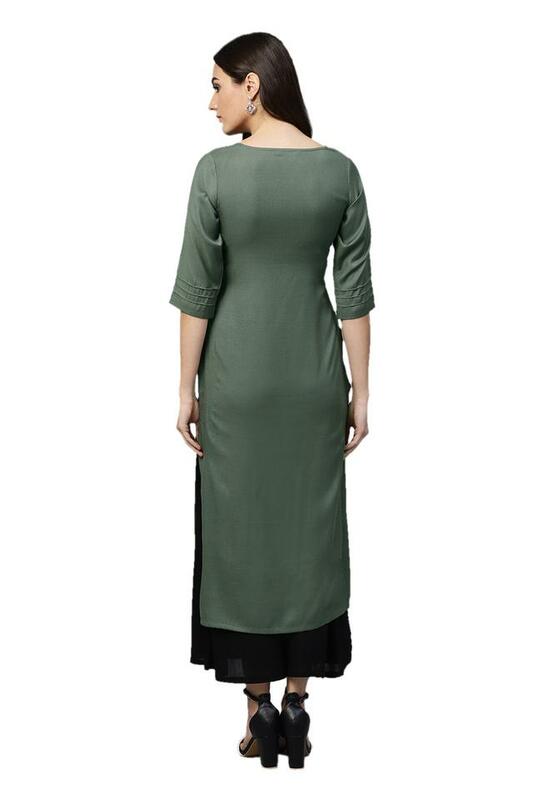 Featuring a round neck, it has a classy appeal while the elbow sleeves further give it some edge. Besides, it has a solid pattern, which is the main attraction. 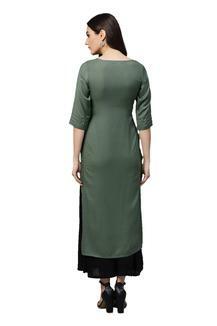 Moreover, it is made from viscose rayon fabric which gives comfort to use.